The “quay” to finding Mumbai street eats. 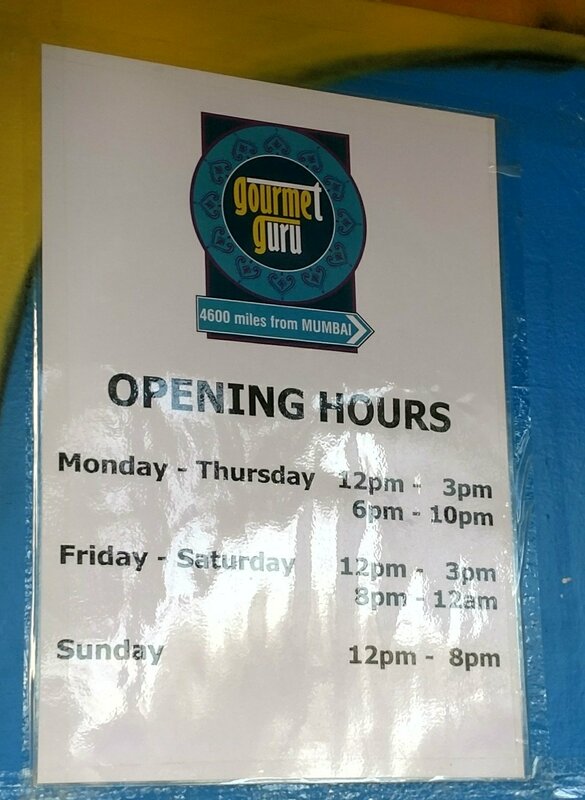 Gourmet Guru, Cardiff Bay, Cardiff. Despite many a stated intent, I never got to Pronto Pizza down at Mermaid Quay before it made its move up into the City centre (now remedied by a visit to their new St. David’s 2 base). It has now been replaced by the rather intriguing Gourmet Guru (not to be confused with the daddy of Cardiff food bloggers – Gourmet Gorro), an Indian Street food gaff from Stephen Gomes, the chap behind an increasing empire of restaurants in Cardiff and beyond (the grandly titled “Moksh and Stephen Gomes Holdings”), most notably to date Moskh. 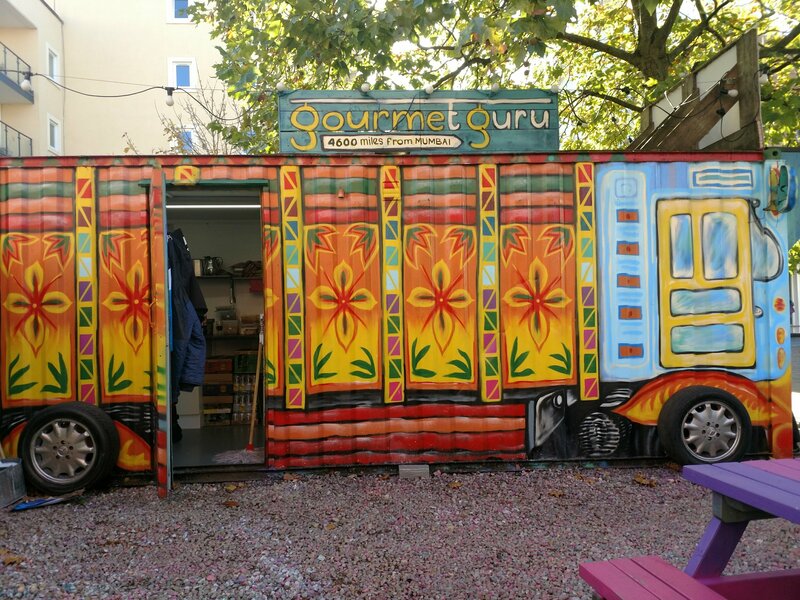 The premise of the concept encapsulated by Gourmet Guru is Indian Street food from the mega India city that is Mumbai – a place which has 10s of millions (22 million to be precise) of people all of whom need constant feeding and where as a result there is a vibrant street food culture. A beautiful autumnal day gave me the opportunity to get some exercise and stretch my legs through a walk down the bay from my office, with a spot of lunch at Gourmet Guru. I then thought I have the car in the office car park so sod the walking malarky I’ll drive. Hideously lazy I know (I felt rather ashamed), but don’t you judge me if you drive rather than walk to the shops. The container that housed Pronto Pizza has been retained and rather jazzed up to look like ones of those lavishly decorated trucks you see in India. It is fair to say this place is more geared to offering food on the go than operating as a sit down venue. 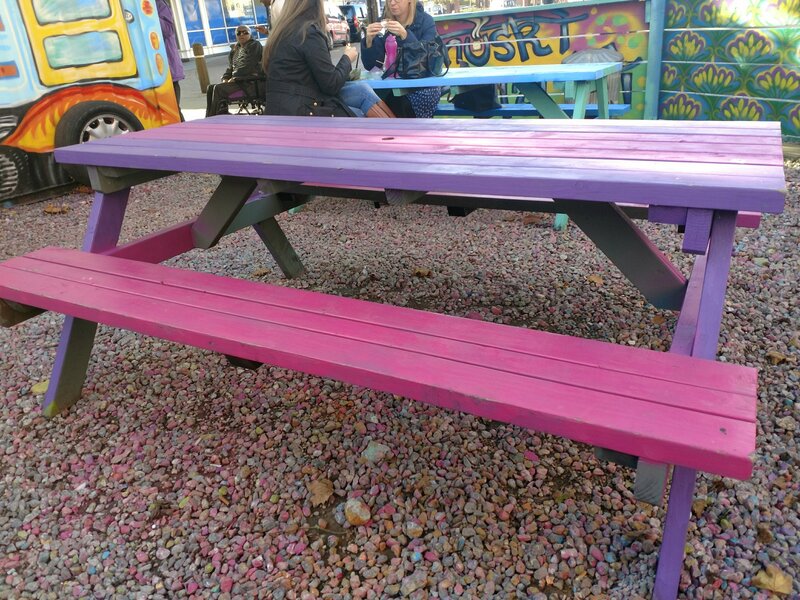 There is, however, an ample sitting area with colourful benches where you can eat your food. This was fine (actually rather lovely) on the day of my visit (a rare sunny Autumnal day), but (with seemingly no cover) not really an option if the weather is more inclement (perhaps steps are taken to remedy this when the weather takes a turn for the worse, but I couldn’t see any evidence of what they might be). You order at and collect your food from the hatch. On my visit the vast majority were getting their grub and going (back to their desks I assume) rather than staying to eat in the sitting area. It is nice to see everything on the menu is well under a tenner and they do some good value meal deals, including the Bombay roll, a cold drink and a bag of crisps for a fiver (less if you go veggie). Lots of stuff of interest for both carnivores and veggies (I will have to try the misal pav at some point as it is billed as having been crowned as the World’s tastiest veg. dish – which is some boast). Whilst tempted by the unusual sounding cheese and Indian scrambled egg combo (£3), I decided on the spiced lamb (£4). encasing a decent amount of nicely spiced and flavoursome shredded lamb (I refuse to call it pulled – there is pulled pork and that is it – no other food item can be pulled in my world) and some crisp veggies. This sat in a rather good (I licked the foil when I thought no one was looking – they were and they looked suitably disgusted) gravy, which had a lovely hit of spice to it. Wanting a picture of the interior meant I ate it all wrong – yes there is a right way and a wrong way (i.e my way) to eat one of these. 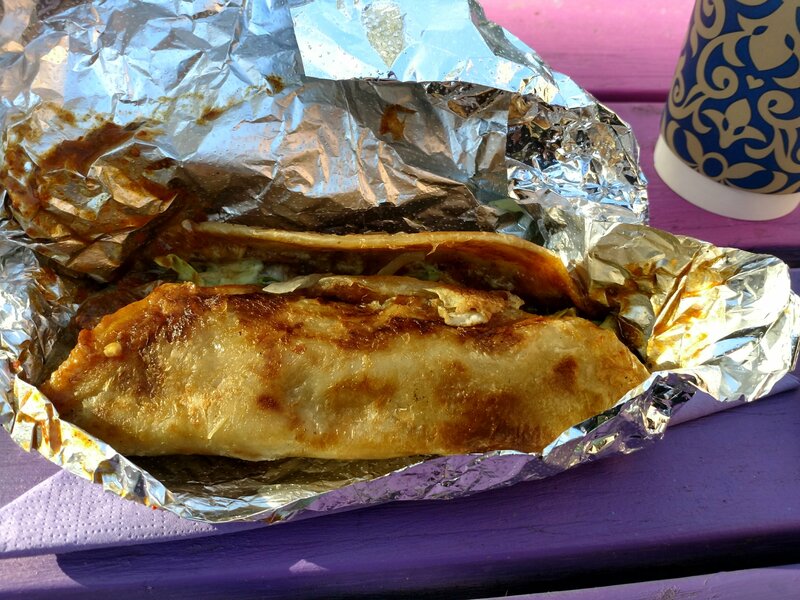 You should, it seems (very logically), unwrap the foil progressively as you munch down (like a burrito) on your roll. A rather satisfying lunch time alternative to the standard sarnie I thought. Very tasty, which bodes well for the more substantial dishes like the biryanis and curries on the menu. On the drinks front they have a short selection of Indian based soft drinks (both hot and cold) as well as standard sodas. All look good value. 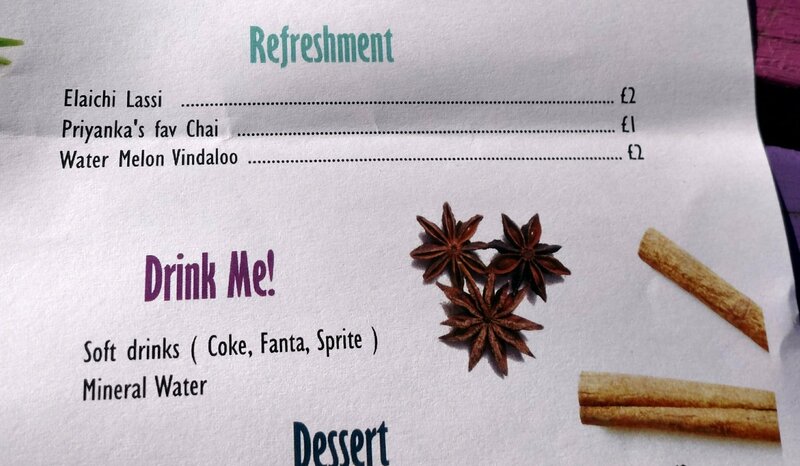 I didn’t dare think what the watermelon vindaloo was (let alone order it – I checked if it had some rude alternative meaning, like the Bombay roll, but apparently not as zip came up on google and thus I have no idea what it is in reality), but I am a sucker for a good lassi and absolutely love properly done chai. 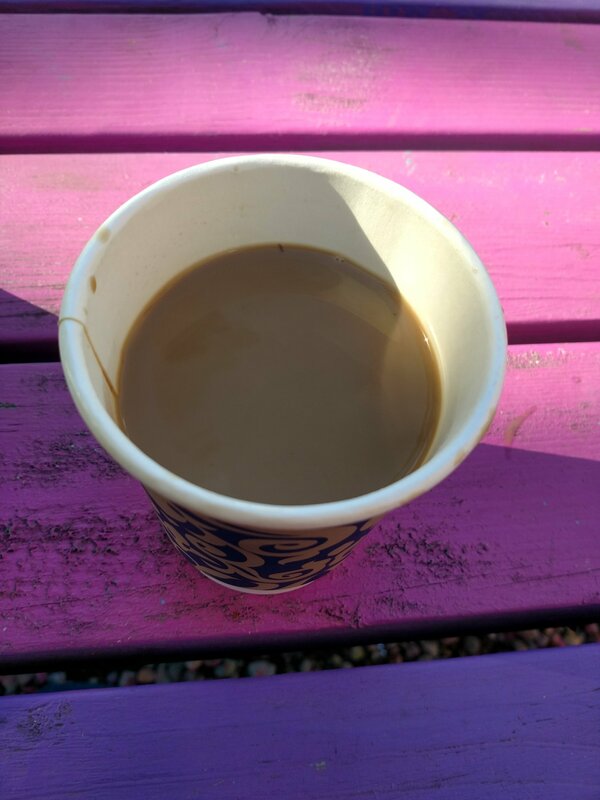 I opted for the chai, as with eating al fresco a warm drink was in order. 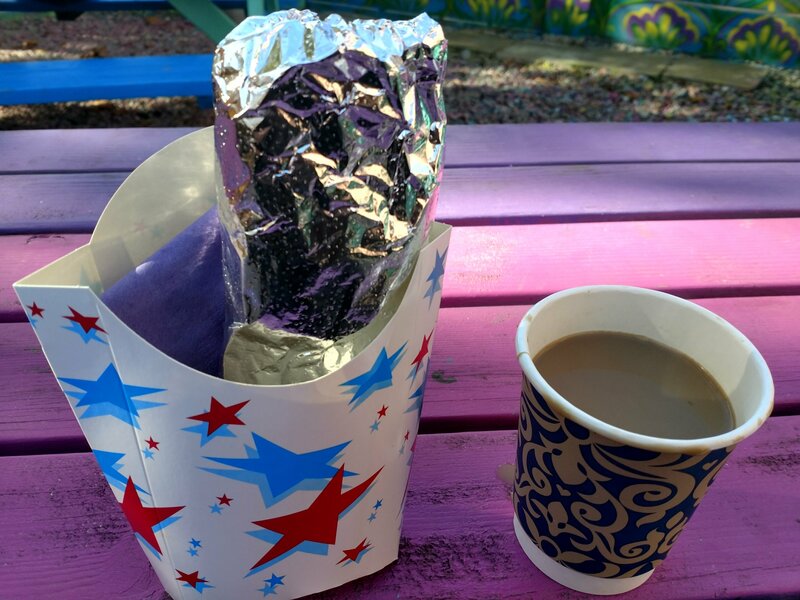 What I got was a little cup of loveliness. Nicely spiced (lots of green cardamom and cinnamon, as well as a touch of ginger I think) and beautifully creamy (I hate a watery chai), this was top notch and great with my spiced lamb Bombay/Frankie/kati roll. Absolutely fab for the bargain £1 price tag. As it is International Sherry Week this week, it is worth noting the sherries work brilliantly paired with spicy stuff, like Indian food). A dry oloroso or a palo cortado would have worked a treat with my Bombay roll. Personally I would love one of Cardiff’s Indian restaurants (Moksh, Dill Jeera, Purple Poppadum or Mint and Mustard) to do a tasting menu paired with sherries. 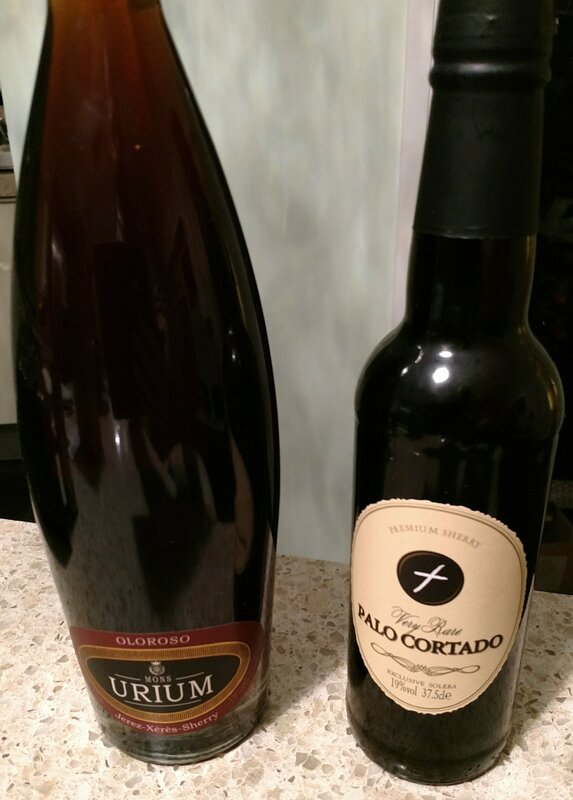 Maybe for next year’s International Sherry Week? Here’s hoping! I rather liked Gourmet Guru. 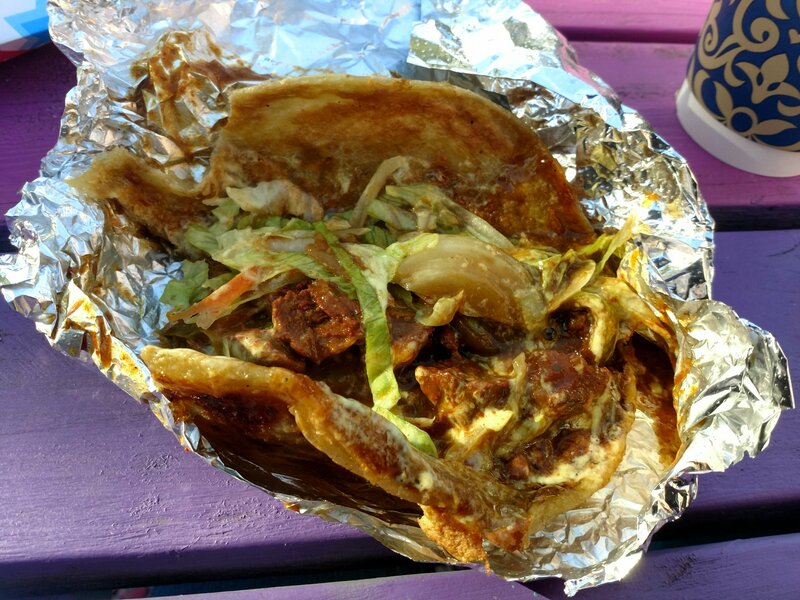 Good, interesting, food at a very fair price is a boat floater for me. Great for lunch and I would say awesome for a mid session snack to soak up the booze during a night out. Would I go back? Definitely – very good addition to the food offering down Cardiff Bay in my humble opinion. 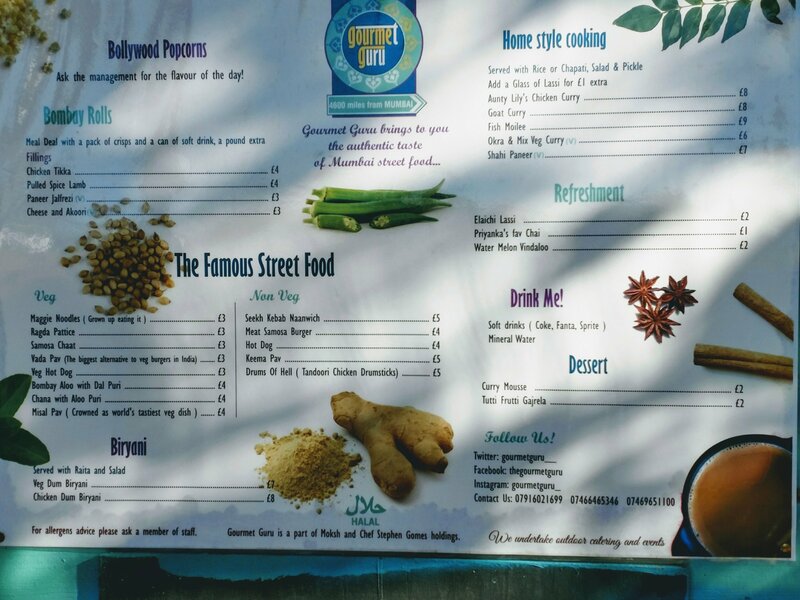 If you want to unlock a bit of genuine Mumbai street food flavour then Gourmet Guru certainly holds the “Mermaid Quay”. With this place, Moksh, the Duchess of Dehli and Chai Street, Cardiff Bay seems to cater for most options Indian food wise these days. Address: Bute Crescent, Mermaid Quay, Cardif, CF10 5AN. Not on work computer I hope – I was rather shocked at what came up. 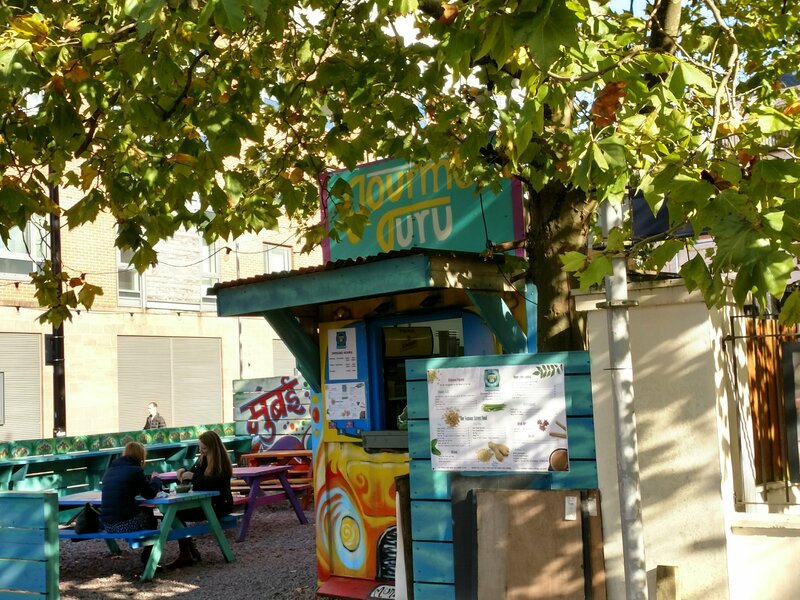 This entry was posted on Nov 5, 2017 by solicitingflavours in cafe, Cardiff, Cardiff restaurant, chai, curry, Diner, Drink, Fast food, Food, food hut, food trailer, food truck, Indian, kebab, lamb, Lunch, lunchtime, Moksh, Mumbai, New restaurant Cardiff, Non alcoholic drink, Oloroso, palo cortado, restaurant review, review, Sherry, Street food, Take away, Takeaway, Tea, Uncategorized, vegetarian food, Wales, wine pairing, wine pairings.